It’s been a remarkable few weeks in parliament. After a spate of ministerial resignations over the EU withdrawal deal, the Prime Minister continues to bury her head in the sand over a Brexit proposal that seems dead in the water. The job of any government is supposed to be to improve the lives of the people it has been elected to represent. Yet, the Prime Minister is stubbornly ploughing ahead with a hard Brexit that will be damaging to jobs and living standards in communities across Scotland. It’s a desperate attempt to cling to power, but in the face of pressure from the Tory Brexiteers in her party it’s uncertain how long the Prime Minister will be able to continue. The latest Cabinet Secretary to resign from the Prime Minister’s government was Esther McVey. The former Worker and Pensions Secretary had been in charge of the much-maligned roll-out of Universal Credit, and it’s safe to say that this Minister won’t be missed. As the Tories tear themselves apart over Brexit, it’s unfortunate that the damaging roll-out of Universal Credit also continues unabated. The evidence against Universal Credit is overwhelming, as was made clear this week by a damning report published by the United Nations into poverty in the UK. The UN Rapporteur on Extreme Poverty and Human Rights said that the UK government is in a state of denial over the detrimental impact of its austerity policies, highlighting the urgent need to reform Universal Credit to prevent many more people being pushed further into financial hardship. The report follows the latest figures released by the UK’s biggest foodbank charity showing that the introduction of Universal Credit is causing a huge increase in demand for emergency food parcels. Numerous charities and third sector organisations have called on the newly-appointed Work and Pensions Secretary Amber Rudd to urgently halt Universal Credit and make it fit for purpose. But given Amber Rudd’s callous disregard for the Windrush generation in her previous post as Home Secretary, I won’t hold my breath that the Tories’ hostile environment towards poor and vulnerable people will end anytime soon. 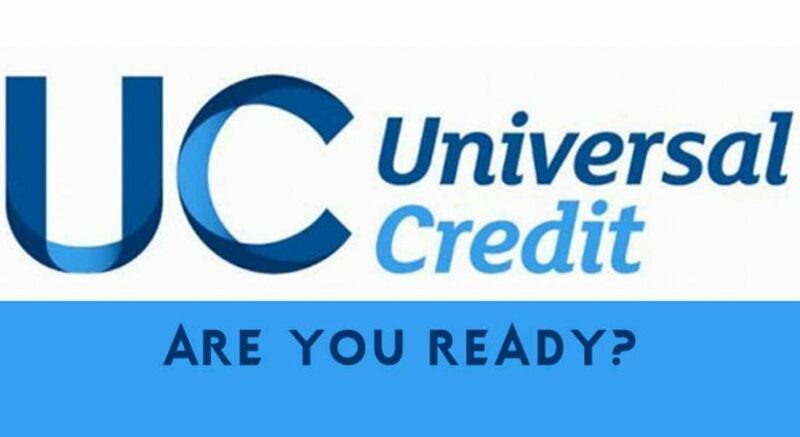 The UK government’s full roll-out of Universal Credit in West Dunbartonshire starts from 28th November. Over the past year I have been meeting with a range of local welfare charities, advice agencies and housing associations in preparation for Universal Credit going full service across Clydebank, Dumbarton and the Vale of Leven. If you or someone you know in West Dunbartonshire is experiencing problems with Universal Credit it’s important to know that help is available. As your MP I work closely with our local advice and welfare agencies, so please don’t hesitate to get in touch if you need help with Universal Credit or any other social welfare benefits. This article appeared in the Clydebank Post on Wednesday 28 November 2018.